Future Stars Multimedia Camp follows a weekly curriculum that promotes digital skills and project-based learning. 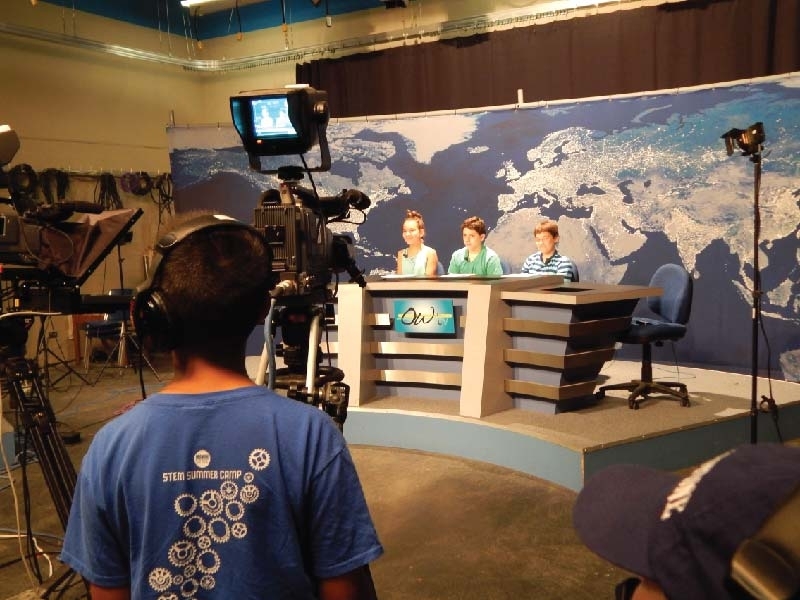 Campers bring ideas to life through the OWTV Studio, along with the weekly assignments covering various areas of the Multimedia genre. Focus will also be given to the world of social media, with campers interacting with other FSCamps Programs/Campers to bring summer news and highlights via various Social Media Platforms. Experienced teachers oversee all aspects of the program and a limited enrollment will ensure time for one-on-one instruction. Additional recreational games and a daily swim period supplement the daily curriculum to give campers a balanced day of learning and fun. Eight (8) Weekly Sessions are offered for Boys & Girls entering Grades 4-9 from July 1st - August 23rd. Multimedia Camp is a way to express yourself and explore your creative side; each session will aim to challenge and inspire creative young minds. TEAM / Organizational Discounts available - Please e-mail for details. 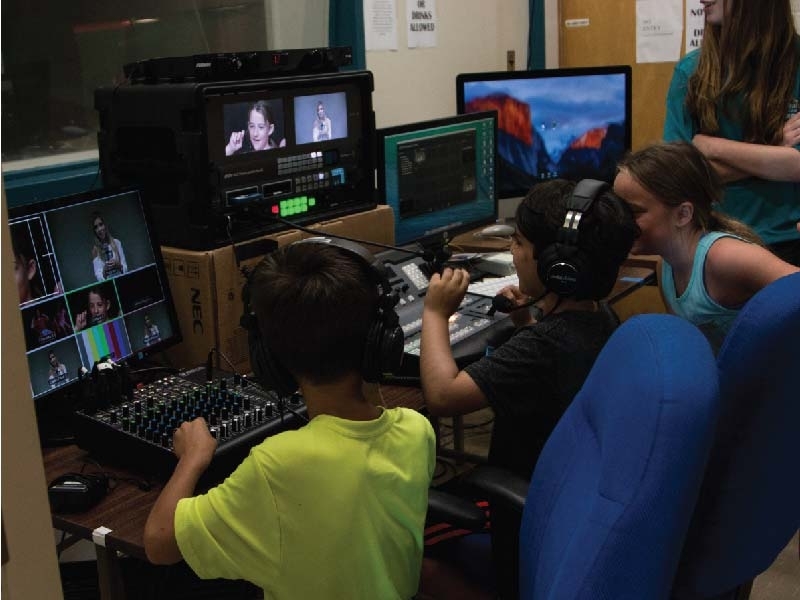 FSCamps Multimedia program takes place on campus at The College at Old Westbury, utilizing the collegiate athletics facilities including the OWTV Studio B, State of the Art Mac Lab, and classroom spaces for project work. Kimberley Toledo returns to Future Stars and will now direct and oversee the Multimedia program. Kimberley is an accomplished graduate of LIU Post, holding a BFA in Photography. Her Scholastic focus is ultimately in teaching media arts, which she is currently pursuing with her MFA. 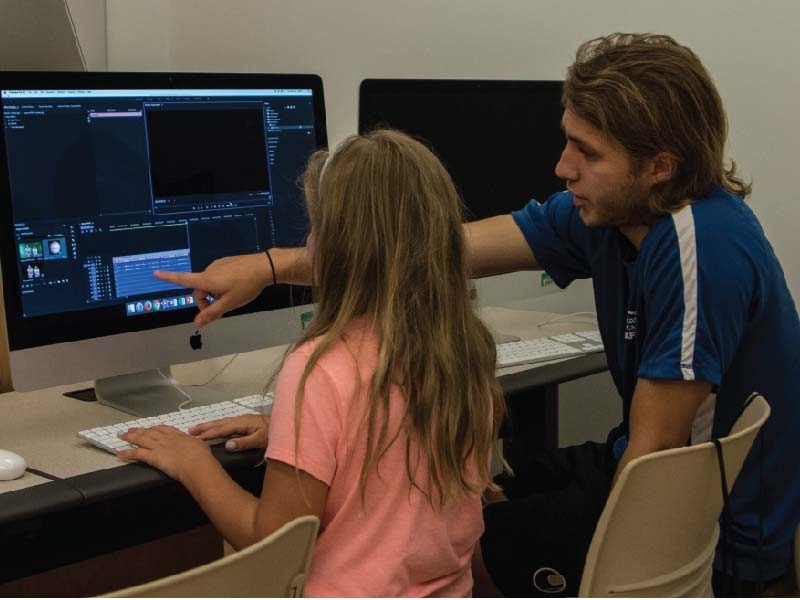 Matt Gelfman is a welcome addition to the Multimedia team and will bring his talents to further help our Multimedia campers develop their skills. Matt is a multimedia artist with expertise in Photography, Graphic Design and Videography. Julia Sorto returns to lend her expertise and experience to the Multimedia program. Julia is one of the instructional staff at the OWTV Studio at The College of Old Westbury. Future Stars Summer Camps at The College at Old Westbury offer numerous Sports & Specialty camp programs. Summer 2019 will offer 19 program options for campers entering Grades K-9 in Fall 2018. Sports camp programs include; Baseball, Basketball, Lacrosse, Multi-Sports, Soccer, Swim, Tennis, Flag-Football, Golf and Volleyball. Specialty camp programs include; Circus Arts, Dance, Drama, Horseback Riding, Magic, and Multimedia. S.T.E.A.M Education programs include; LEGO Robotics, Stop-Motion Animation, 3D Building with Minecraft, Web Design & Coding and Video Game Design. 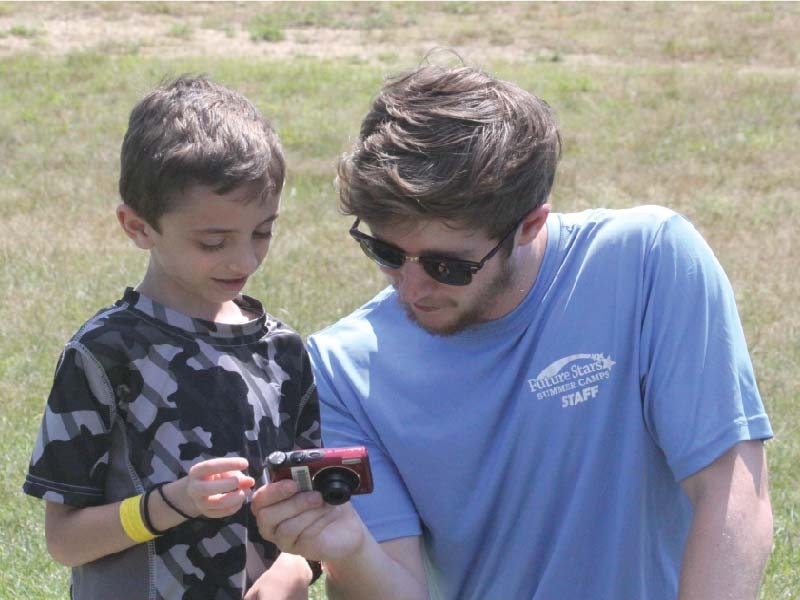 Additional programs include; Rising Stars for younger campers entering grades K-2, and our Adventure Camp, which is a unique program that features off-site trips. Finally, our Coaches & Teachers Assistant Program (CTAP) for participants entering Grades 10-12 who are looking to be part of the Future Stars Staff in the future. The College at Old Westbury is a wooded 600 acre campus centrally located in Long Island's Gold Coast in Nassau County. Conveniently located on Rt.107, minutes from the LIE (Rt.495), Jericho Tpke (Rt.25), and Northern Blvd (Rt.25A). The College at Old Westbury athletics dept sponsors 13 NCAA Division III intercollegiate teams participating in the Skyline Conference. Future Stars Summer Camps utilize the college athletics facilities, and additional campus facilities for all programs. Clark Athletic Center outdoor facilities include: Baseball & Softball Complex, Full-Sized Grass Training Fields, Tennis Courts, Hitting Walls, Basketball Courts, and more. Clark Athletic Center indoor facilities include: Multiple Gymnasiums, Swimming Pool, Racquetball Courts, Panther Pride Recreation Area, and more. Additional campus facilities include: Air-Conditioned Cafeteria, Recital Hall, Old Westbury TV Studio, Classrooms, Computer Labs, and more. Additional camp features include: Big Kahuna Waterslide, GaGa Ball Pits, Inflatable Sports Arena, 150ft Slip'n'Slide, Soccer Golf Course, and more. Future Stars Summer Camp programs at The College at Old Westbury are permitted to operate by Nassau County Dept.of.Health. All programs take place on campus and Future Stars are the exclusive camp program on campus during the summer. Campers enjoy a daily lunch program that is included in the pricing with campers having hot and cold menu choices as they eat in the comfortable air conditioned cafeteria. Campers have the option for a daily recreational swim period in the Clark Athletic Center pool under the supervision of our certified water safety instructors and lifeguards. Door-to-Door bus service is available for an additional charge for campers in Nassau County and beyond by arrangement. Please contact the camp office for transportation specifics. David Stapleton is the Future Stars Summer Camps site director for all programs at The College at Old Westbury. He graduated The University of Edinburgh in 1999. He brings over 16 years of experience in youth coaching and summer camps with Future Stars and previously NOGA Soccer. David is a UEFA, USSF, & NSCAA certified Soccer coach who currently coaches at LIU-Post, and is a staff coach for the LIJSL Coaching Academy. Summer 2018 will be his 11th year with Future Stars Summer Camps. Summer 2019 programs will run from June 24th to August 23rd. Flexible weekly scheduling is available. Each camp week is Monday to Friday 9am to 4pm. Pricing is time sensitive. Transportation is available for an additional $175/week. Early drop-off and/or late-pick-up are also available for an additional $50/week. Sibling discounts are available for campers enrolling for 3 or more weeks. Team or Group discounts are also available. Please call our camp office on 516-226-2267 for current details on discount offers.